Prof. Salter is an Assistant Professor of Economics in the Rawls College of Business, and the Comparative Economics Research Fellow with the Free Market Institute, at Texas Tech University. Salter was formerly an Assistant Professor of Economics at Berry College. He earned his Ph.D. from George Mason University in May 2014. Alexander’s research interests include the political economy of central banking, NGDP targeting, and free (laissez-faire) banking. He is also interested in political economy in the tradition of the Virginia School, focusing on topics such as property rights, self-governance, federalism, and the rule of law. 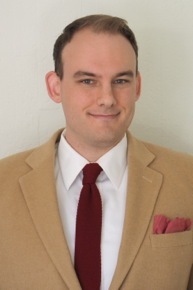 Alexander’s research has been published, or is forthcoming, in scholarly journals such as the Journal of Money, Credit, and Banking, the Journal of Financial Services Research, and the American Political Science Review, and his popular writing has been featured in outlets such as RealClearPolitics and U.S. News and World Report. Did big government make us rich? Why are Western countries like the United States and Germany so much richer today than other countries around the world? Economists have an important purpose, but they often fail to serve it. The origins of money: What’s at stake? In terms of implications for contemporary monetary economics, it doesn’t much matter whether the chartalists or the emergent theorists are right. Is spontaneous order or the state responsible for the emergence of money? The laws of human action help us understand the origins of money. The skeptics are wrong. Religion and classical liberalism can coexist. Classical liberalism is not specific to any code of morality. In fact, it needs and breeds moral law. The first task of classical liberalism is to understand social order; normative conclusions must follow and flow from that understanding.